The stories of Greek mythology are often thought of as stories of heroic adventures, where good overcomes evil. There are certainly many tales of heroes fighting against overwhelming odds, but there are many stories that are not about fighting but are about relationships between gods, or between deities and mortals. The tale of Zeus and Danae is one of these stories of a relationship between a god and a mortal, and is one of the most famous love stories from Greek mythology. In the time when the story of Zeus and Danae is set, Zeus is the supreme ruler of the cosmos, and the leader of the Olympian gods. 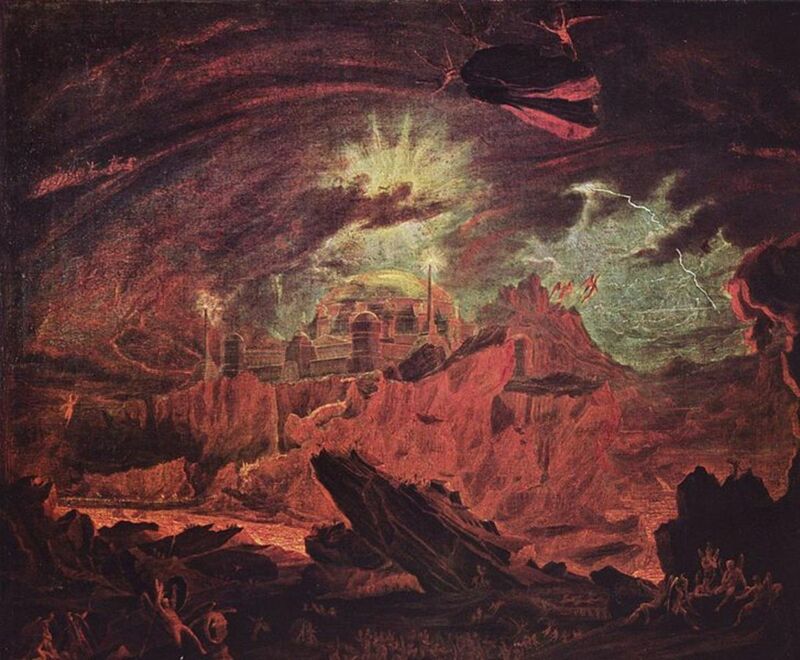 Zeus was the son of Kronos and Rhea, and had, along with his siblings, overthrown his father in the Titanomachy. 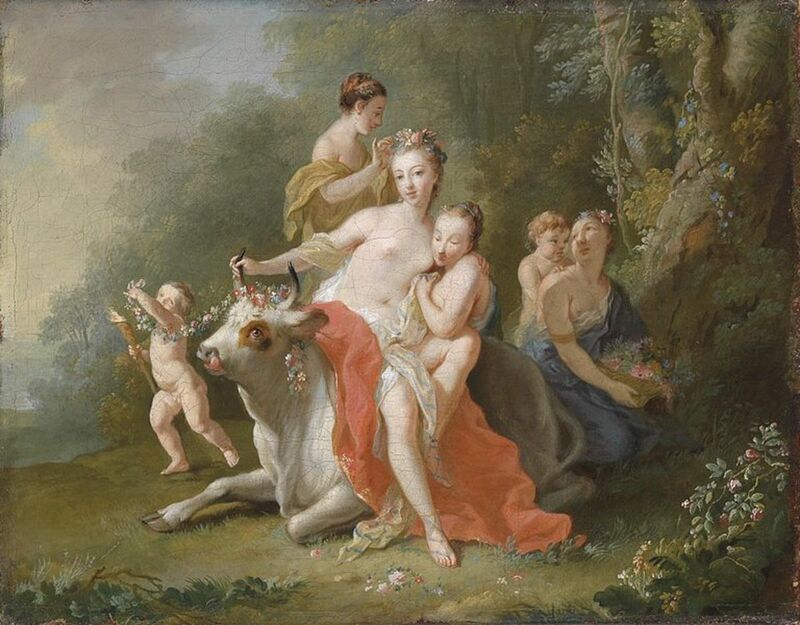 Subsequently Zeus would be married three times; firstly to Themis, then Metis and thirdly, and most famously to Hera. Even when married though, Zeus was not monogamous, and many of the stories that are told about Zeus are not about heroic acts, but are about the god’s love life. Conversely many of the stories about Hera are not about her own good deeds, but are about her attempts to stop Zeus straying, and her revenge on those who did sleep with her husband. Danae was a princess of Argos; Argos being a kingdom in the eastern segment of the Peloponnesian peninsula. Danae was the only offspring of King Acrisius and Queen Eurydice. Danae was considered amongst the most beautiful of all mortals. With his only child being Danae, King Acrisius had no direct male heir to leave his kingdom to. Acrisius therefore sought out the advice of an oracle, to find out whether Danae would ever give birth to a son, to whom the crown of Argos could be passed. The prediction that the oracle gave the king though was not good news, for the oracle foretold that the son of Danae would kill King Acrisius. At the time Danae had no suitor, and so Acrisius had a large bronze tower built. The tower had but one door, which was guarded both day and night, and the outside of the tower could not be scaled. 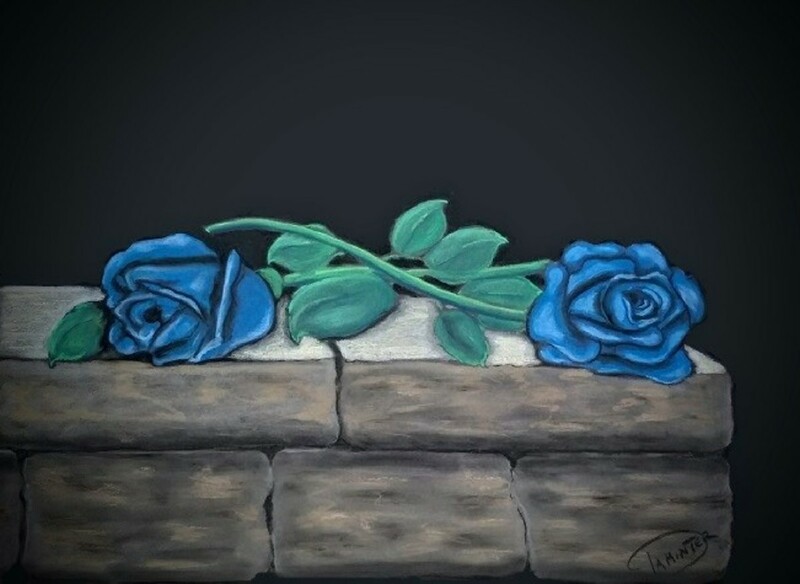 Danae was then locked into the tower; now no suitor would be able to reach the princess. No suitor meant zero chance of Danae becoming pregnant, and no chance of his own grandson killing King Acrisius. News of the construction of the bronze tower, and the imprisonment of Danae, soon reached the gods of Mount Olympus. Zeus decided to take a closer look, and descended from his palace to the Peloponnese. Zeus found that the tower had been made so that it was difficult for even a god to enter, and so now intrigued, Zeus transformed himself into a shower of gold, and cascaded through the roof of the bronze tower. Taken by the beauty of Danae, Zeus sleeps with her, and as a result Danae falls pregnant. The ultimate result of the union being the birth of a son called Perseus. Acrisius now has a grandson to worry about. Fearing for his life, Acrisius was also worried about the consequences should he kill a son of a god, as obviously only a god could have impregnated Danae. Acrisius decides to set Danae and the child Perseus adrift at sea in a large wooden chest. To the king’s mind there are two possible outcomes of his actions, either mother and child would drown, or else the chest would drift far away from Argos, and therefore Perseus could do the king no harm. 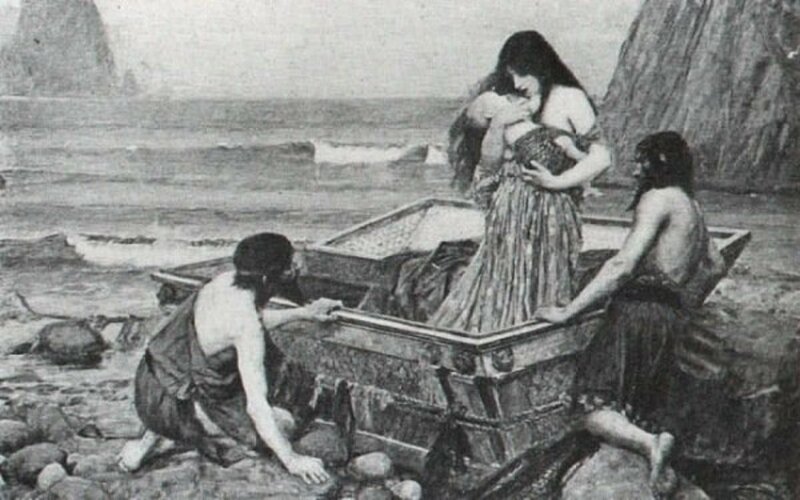 Danae had not been abandoned by Zeus, and calling upon assistance from his brother Poseidon, Zeus ensured that the wooden chest containing mother and child washed safely ashore on Seriphos, an island in the Aegean. 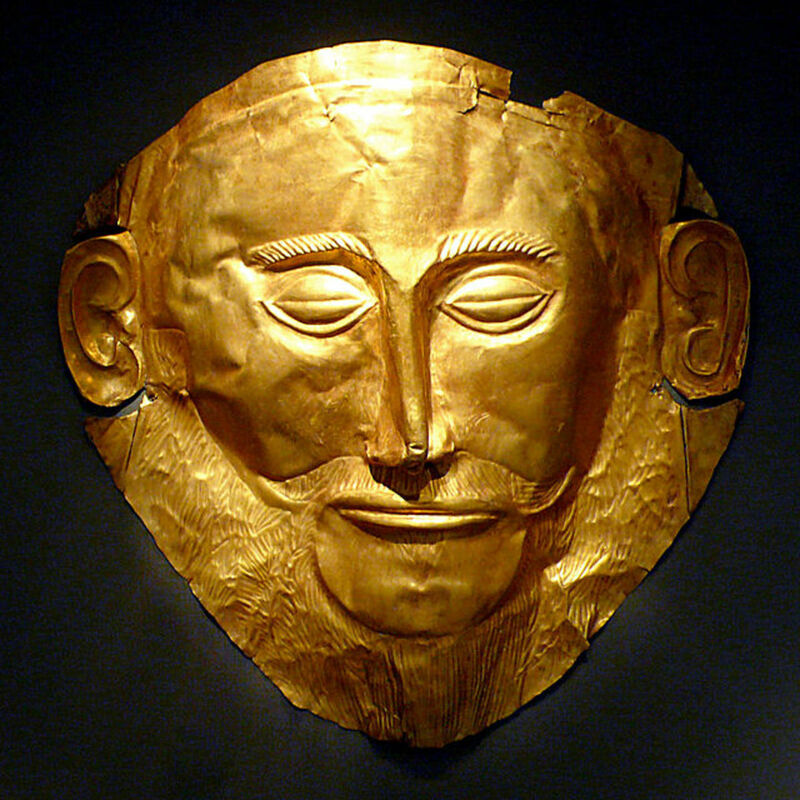 The chest was found by Dictys, a local fisherman, who initially looked after Danae and Perseus. Dictys was the brother to King Polydectes, and the beauty of Danae meant that the king was soon trying to seduce his brother’s guest. Danae rejected the king’s advances but Polydectes kept on trying. 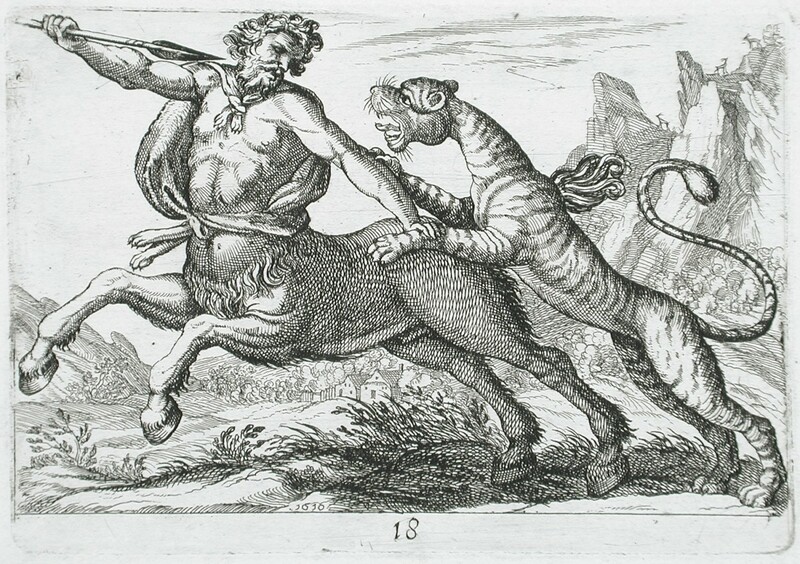 Eventually Perseus grew strong enough to act as a physical protector for his mother and so Polydectes came up with a plan to separate mother and son permanently. Perseus was given the seemingly impossible task of obtaining the head of Medusa; Perseus believed that it was to be a wedding gift for the marriage of Polydectes and Hippodameia. Such a marriage would mean Polydectes would leave Perseus’ mother in peace. Perseus, aided by the gods, was of course successful, but on returning to Seriphos, the hero found that the king was still attempting to marry Danae against her will. Indeed Danae and Dictys had taken sanctuary in a temple to avoid the king. 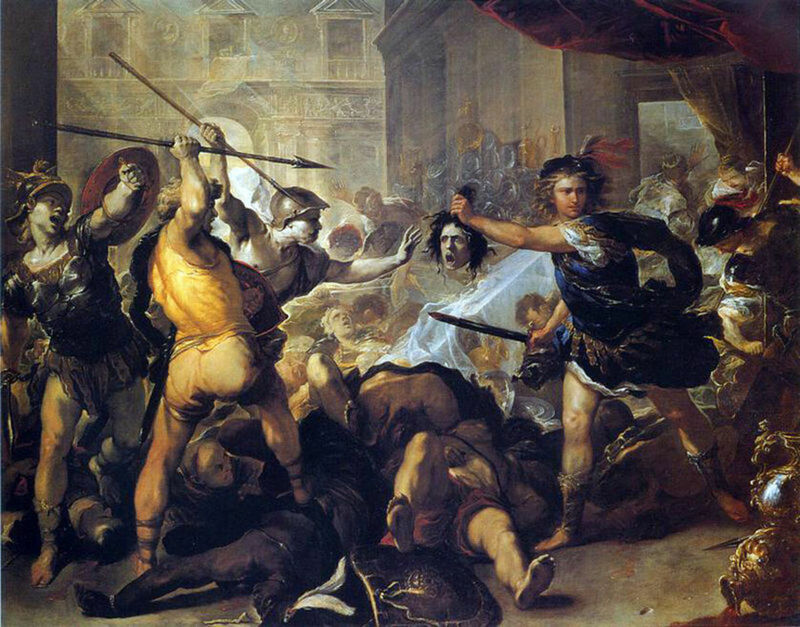 When Polydectes and his followers were gathered together, Perseus entered the room, and pulled out the head of Medusa, turning all present to stone. Danae was free from the unwanted attention of the king for ever. Subsequently the story of Perseus continues briefly, but Danae is all but ignored; indeed there is no recorded mention of her death. Some myths though do claim that it was Danae who founded the city of Ardea in Latium. Of course Perseus would eventually fulfil the prophecy made of him, when Acrisius was accidentally killed by a discus thrown by his grandson. In itself the story of Zeus and Danae might not be considered to be a major one, but the child born of the result of the relationship would be regarded as one of the great Greek heroes.